Conway went on to say that she gets harassed by journalists online but appreciates that Melania is trying to bring change, the answer wasn’t good enough for Cooper. The potential future First Lady has made preventing cyberbullying an issue she intends to work on if her husband wins the election on Tuesday. The hashtag #HillarysBodyDouble took off on social media as conspiracy theories about Hillary Clinton using a stand-in quickly spread on Twitter after the Democratic nominee’s health issues dominated news coverage on 9/11. Black Bag has mentioned that Bill Clinton is sterile, and that federal tax evader Webb Hubbell is the father of the Clintons' only offspring. Vince Foster, former White House counsel to Bill Clinton, committed suicide in 1993, but internet sleuths have long wondered if there is more to the story, often implicating the Clintons in foul play. Former DNC chairman and U.S. Commerce Secretary Ron Brown died in a plane crash in 1996, but theorists have long speculated that he was somehow shot, with all evidence subsequently wiped in a "decision that reached the White House." In fact, Snopes points to several more postulated murders that comprise the “Clinton Body Count” list, ranging from former national finance co-chairman for Bill's presidential campaign Victor Raiser to his one-time Whitewater Development Corporation partner James McDougal. 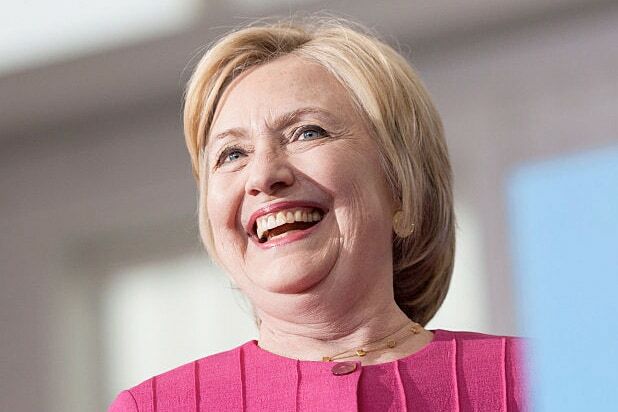 Snopes has rounded up 48 deaths that are somehow attributed to the Clinton family by conspiracy theorists, including reporters, staffers and government officials. Kathleen Willey, who accused Clinton of unwanted sexual advances, claimed her cat mysteriously died after her name surfaced during the Paula Jones scandal. She said a private investigator pointed her to the Clinton White House. The conspiracy theories pertaining to Clinton's role in Benghazi are vast, from faking a headache to avoid testifying to Congress to getting in the way of the rescue mission. Edward Klein's 2005 book “The Truth About Hillary: What She Knew, When She Knew It, and How Far She'll Go to Become President” claims that the Clintons' marriage in 1975 was a sham and Hillary partakes in "revolutionary lesbianism." Alleged Bill Clinton mistress Gennifer Flowers famously told the Daily Mail in 2013 that he once told her Hillary was bisexual and he didn’t care. Matt Drudge reported in 1999 that an Arkansas woman claimed Bill Clinton is the father of her 13-year old son. The 2015 book “Clinton Cash” details several theories about how the Clintons amassed their wealth, including connections between foreign Clinton Foundation donors and the State Department under Secretary Hillary Clinton. The controversial use of a private email server continues to be a hot topic for anti-Clinton pundits who think it signifies ineptitude at best and cover for corruption at worst. The health of the Democratic candidate for president is a constant source of conspiracy theorization, but the U.K.'s Express reported that she’ll be dead in a year from vascular dementia caused by a blood clot in 2012. Top Clinton aide Huma Abedin has been rumored to be romantically involved with Hillary, “a long-rumored affair, for eight or nine years, way even before the Obama presidency,” according to anti-Muslim activist Pamela Geller. Is Donald Trump’s Reported Media Network Holding Auditions?